Caffrey and teammate Morgan Chacon will compete on the beach volleyball team in spring 2019. Finished her sophomore season ranked second in the Big 12 in kills (245), ranked third in kills per set (3.77), third in points per set 4.42 … Led the Big 12 in both service aces (29, 0.45 per set) and total points (287) … Her 28 kills at Kansas on Nov. 25 was the most earned by a player in the Big 12 in any match in 2017 … Her 25 kills against Texas Tech (Nov. 11) is the second most earned by a player in the Big 12 Helped the Mountaineers advance to the NIVC Semifinals for the first time in program history Led the team with 13 kills against Ole Miss in the Semifinal match, marking her fifth straight match in a row leading the team in kills … Notched double-digit kills in 24 matches this season … Recorded 14 double-doubles on the year, totaling a season-best 17 digs in the Mountaineers’ 3-0 win over UMES in the NIVC First Round … Helped WVU to its first-ever win over a ranked opponent, recording a season-high 28 kills on 65 attacks to hit .308 at No. 14 Kansas (Nov. 25) … Was selected to the All-Big 12 Preseason Team in August … Earned all-tournament team honors at both the WVU Invitational (Aug. 25-26) and the Diet Coke Classic (Sept. 1-2) … Leads WVU in kills (436) and service aces (57) … Ranks No. 1 among all Big 12 players in service aces, averaging 0.47 per set … Also ranks inside the top 10 in points (second) and kills (fifth) … Earned All-Big 12 First Team recognition for the second consecutive season … Was tabbed as the Big 12 Co-Offensive Player of the Week for the week of Nov. 27 …Was named to the All-Midwest Regional Honorable Mention Team by the American Volleyball Coaches Association (AVCA). AVCA Midwest Region Freshman of the Year … WVU Athletics Rookie of the Year … Emerged as the Mountaineer’s primary outside hitter in 2016, finishing her successful rookie campaign with a team-best 4.44 kills per set (515 total) and 30 aces … Ranked second in the Big 12 in both kills (515) and points per set (4.42) … Two-time WVU Student-Athlete of the Week … Her 515 kills was a WVU freshman record, and ranks second in program history … Averaged 2.60 digs per set … Totaled 47 blocks … Registered a career-high 29 kills vs. Iowa State (Sept. 30) … Had a career-best 20 digs against TCU (Sept. 28) … Served five aces against No. 19 Santa Clara at the Cal Classic (Sept. 10) … Posted five blocks against Georgia Southern at the season-opening Penn State Classic (Aug. 28). 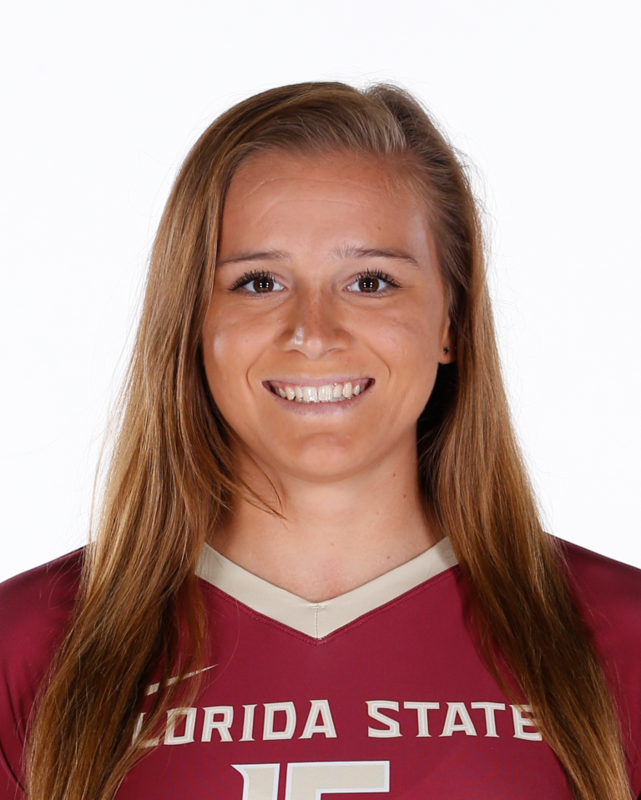 Born on Sept. 1 … Daughter of Michael and Mary Caffrey … Majoring in exercise physiology.